What was your first ever gig? “It kind of varies… I have different bands. On a lot of straightahead jazz, I’ve actually been plugging straight in. I have two AS200 Ibanez guitars from the 80s that I use a lot and I’ve been using Fender Deluxes. Then I have another setup where, if I want effects, I have a small pedalboard that has three pedals on it: a distortion unit, a tremolo unit and a tuner. What’s the nearest you’ve come to a Spinal Tap moment on tour? “Man, I’ve had so many! I was playing with Billy Cobham. This was 1976, one of my first tours of Europe. There was a big jazz festival in Bologna in Italy and we arrived to play and the other band was Weather Report with Jaco Pastorius on bass. “I’ll never forget it. We walked in and Jaco was playing behind his amp, because there was a riot going on. There was a political thing there and they had this huge demonstration that turned into a brawl. So, they’re throwing stuff at the stage and we’re supposed to go on next. 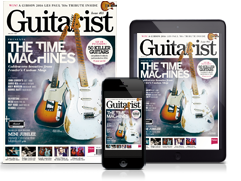 What non-musical item could you not do without on tour? What’s the best venue you’ve played in from a musician’s point of view? What’s the worst journey you’ve had to or from a gig? What’s the best tip for getting the audience on your side? I’m just like the rest of the world - I go to YouTube and watch all this great stuff that’s there! What’s your favourite live album? “I’m gonna go way back to when I was a kid and I had a record called BB King Live At The Regal. Most of the records I listen to, in jazz, a lot of them are live and I think even the ones in the studio, the really good ones, are live in that the musicians would just play and they weren’t overdubbing or anything like that and there’s so many in jazz that it’s hard to say. 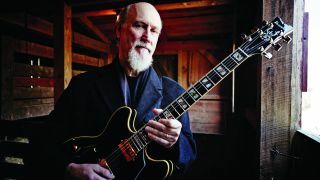 John Scofield’s new release, Country For Old Men, is available now via the Decca label.